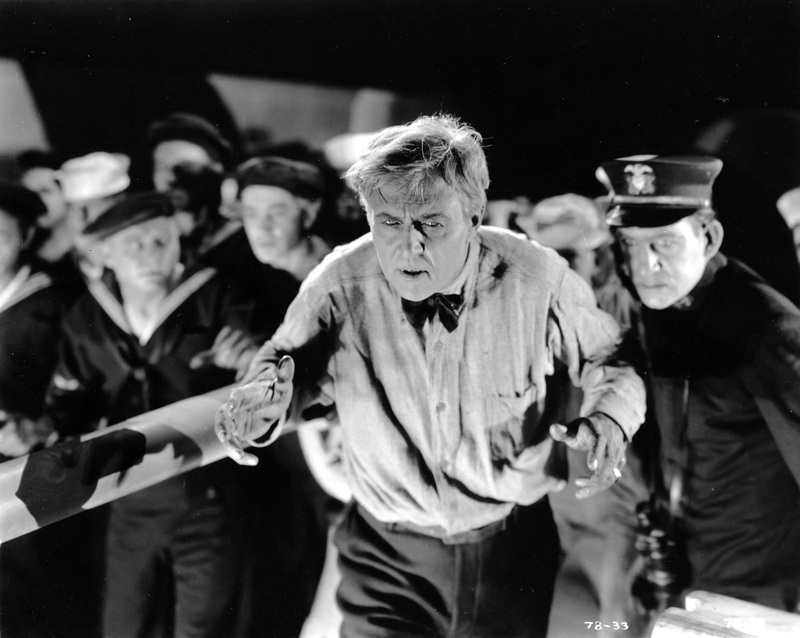 One of the pleasures of silent film is that there’s no such thing as a definitive viewing. There’s always a new take on an old film—be it a new score, or restored footage, or new footage, once thought lost. Perhaps the addition of colours or tints that recover, for audiences in the early 21st Century, a theatrical experience more authentic to the early 20th. We are part of a paradox here: one in which current art is impressed upon the art of the past; and that past, in turn, appears to us like something more fully of its own time. Anyone who’s seen the film knows what I mean. Cinefest’s program notes were positively spooky: “One of the most gruesome and bizarre of the atrocity films made in the United States between 1917 – 1919,” they read; “the queasy might want to visit the Dealer’s Room.” I ought to have read them by candlelight. 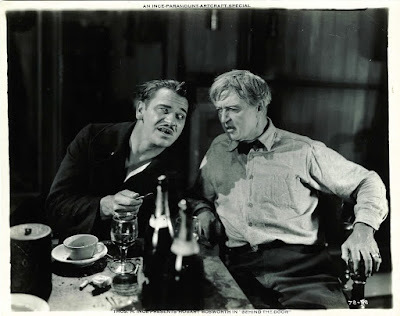 The next best thing, perhaps, was to watch the film late at night; which I managed to do: huddled in a conference room, in the dark, with more than a hundred other curious fans, few of whom had seen or heard of it either. That print was rough-going at times. This restoration is not. 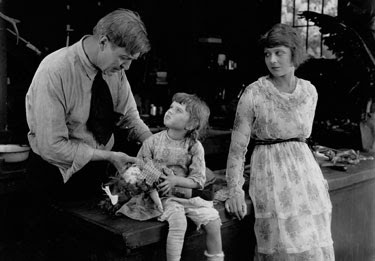 The product of a partnership between the San Francisco Silent Film Festival, the Library of Congress, and Gosfilmofond Russia, it glistens from the opening frame. Our first glimpse of the hero sees him trudging up the hill of a cemetery, returning to the seaside village in Maine he once called home. The image is splendid in its depth and detail. 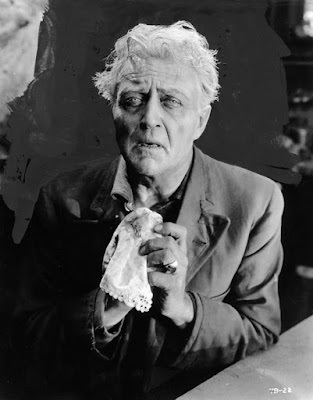 Oscar Krug (Hobart Bosworth) is a broken man, and we see every one of his weary movements, every spot of decay, crisp as life. Behind him is the coastline, surrounded by rolling hills and the endless stretch of the sea: beautiful enough to make us pause, but vast enough to swamp poor Krug with its emptiness. The year is 1925. Immediately something seems off. We know the year the film was made, so clearly, this is a man projected into the future—a theoretical damaged soul. He hobbles his way into the village and finds the shambles of his old place of business. He was a taxidermist. That does nothing to put our minds at ease. And then we travel back to 1917, when everything began to go wrong. Bosworth was over 50 in 1919, and looked it. He was an unlikely choice for a male lead, especially in a film with romantic overtones. But his age is effective in this case, because it implies that he has seen and done much, and indeed we learn that he was a navy man; from a German family, but one with a long pedigree of American service. He is not to be taken lightly. 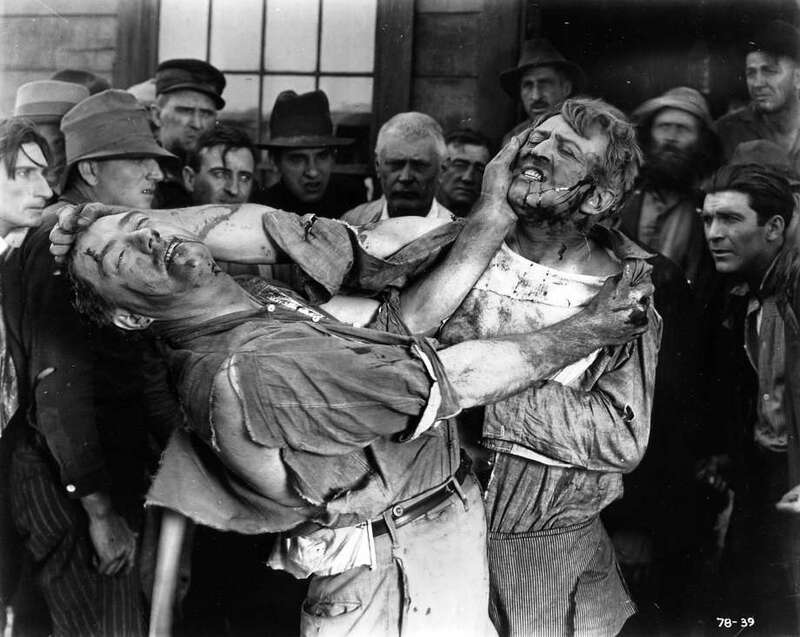 When the U.S. declares war on the German Empire, Krug faces a xenophobic attack from his neighbours. He responds by blaring patriotic rhetoric and knocking several villagers flat on their backs. Krug already had enemies. Not because of his heritage, but because he’s wooing Alice Morse (Jane Novak), the daughter of the village banker. Mr. Morse has his own suitor, nearly as old as Krug, already picked out for her, and he’s not used to being crossed. As the situation grows tenser, the War becomes, for the new husband and wife, a convenient excuse to leave. Krug enlists as captain of a government steamer and Alice, through various maneuvering, ends up onboard with him. On paper (electronic or otherwise) this all sounds fairly conventional, at least by the standards of silent melodrama. But structurally speaking, it’s odd. There are no scenes in this first act that feel ‘normal.’ What I mean is, there are no little moments that establish these characters as people to whom we can relate, day to day. 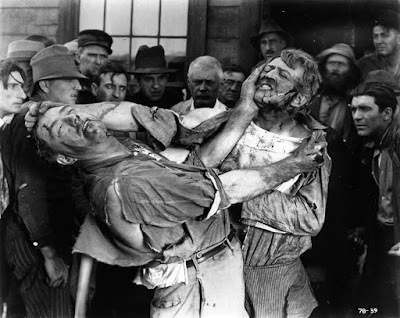 We get little sense of the industry of the village, or the lives of its citizens—they transform into a fanatical mob almost as soon as we meet them. Krug’s love for Alice is understandable, but the circumstances surrounding it are unusually dangerous, and the reactions of each party unhinged. Krug’s business, to the degree we see him conducting it, is inherently creepy. “Please—she’s all dead,” a girl says to him, bringing her damaged doll into the shop. “Would you skin her and put some stuffin’s in her?” Kindly Mr. Krug is glad to help. This state of weird, heightened emotion propels Behind the Door through to its end. We know that Krug is an upright and moral man, but one possessed of rare and gruesome skills. And so, when his ship is torpedoed by a German U-boat, and Alice, the only other survivor, is captured by the sub’s commander—dragged below the waves to suffer god-knows-what fate at the hands of the crew—we’re sure Krug’s vengeance will be extreme. It’s difficult to go much further without spoiling the film. 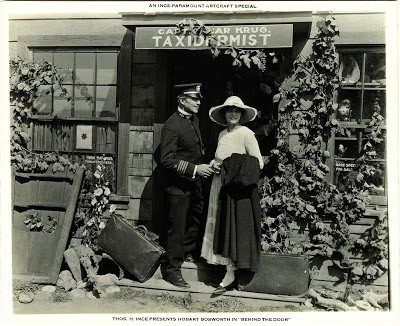 Better to spend a minute on the U-boat commander, played here by a young Wallace Beery. Beery’s Lt. Brandt is every bit the vile, merciless pig of a man a film like this requires its villain to be. To pity his character in any way would’ve been fatal. But Brandt is a fully realized person too—Beery plays him with just enough restraint to make him believable. This cannot always be said for the rest of the cast. Everyone else, Bosworth included, plays to the back row at times. Ah, how I want to describe to you the scenes in that sub—the primal horrors of them—but no. No spoilers. Maybe something else, then. The restoration is mostly pristine. There is some damage around the seven-minute mark, but nothing that impedes the story. Footage is missing from two spots in the middle of the film (rather crucial action sequences, unfortunately); but stills are used to fill the gaps and the momentum isn’t slowed too much. The intertitles are finely detailed and appropriately over the top. (“Somebody get a rope and start the tar to boilin’!” cries one villager, early in the film, as we see graphics of a noose and animated steam rising). The new score, composed and performed by Stephen Horne, conveys the urgency and delirium that makes Behind the Door what it is. I especially liked his opening piece, played over Krug’s mournful first trip back to the village. The cemetery is a grim place, but the landscape is lovely, and so the music is both melancholy and pretty. But there is something else behind it—a certain shrillness in some of the notes. It makes your shoulders tense up. It feels like a promise. Not only will good people be lost, but so too the decency, and common humanity, that can make even an early death a good one. Flicker Alley releases Behind the Door on DVD and Blu-ray on April 4. Bonus materials include additional music; a Russian version of the film; notes on the restoration; and an interview with Kevin Brownlow concerning Irvin Willat, the film’s director.